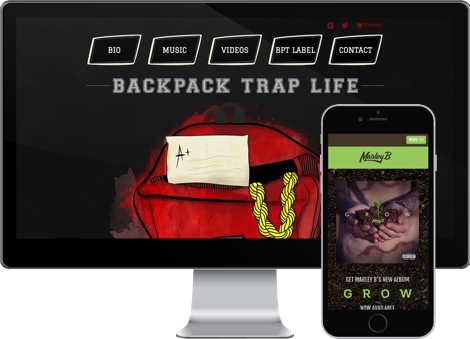 backpack trap life is a website by hip-hop artist MOD. The website encompasses his whole brand with specfic focus on music and fashion. When the time came to design and develop his website, we wanted to do something that was unique and inviting. The backpack items hover on scroll and the site includes cart functionality so he can sell his latest works.